Miley Cyrus wrote the sweetest love letter to husband Liam Hemsworth for his 29th birthday. Forget Romeo and Juliet. We have a new favorite couple of the century. Thanks to Miley Cyrus. Her birthday tribute to husband Liam Hemsworth makes us believe in true love again. They say True Love Conquers All. Indeed. 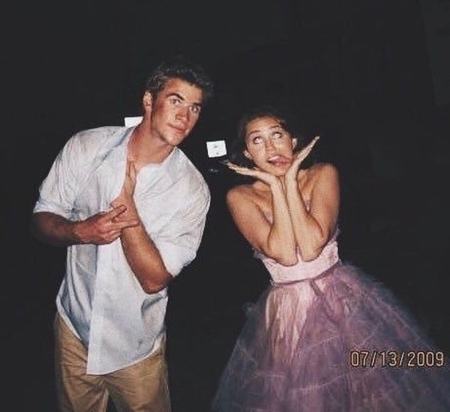 Surely, everyone knows the famous cinematic love story of Miley and Liam, following their break up and reunion over the last decade. But, what everyone didn't know is the amount of love Miley holds for Liam. Recently, for her husband's 29th birthday, the 26 years old singer listed down more than 7 Things, she loves about Liam. And to be honest, we couldn't finish the whole love letter without holding our emotions. It's more than perfect. "When we met you were 19, Today, you are 29. I thought I could share some of my favorite things about my favorite dude in honor of this very special day"
"The way you look at me, the way you look at our dogs…our pigs, our horses, our cats our fish." "The way you look at your family….Your friends….At Strangers….At Life….The way you look at the ocean and the way you always take your time. The way you go outside when I ask 'what's the weather like?' instead of checking your phone…The look on your face when you receive good news and how you look AT the bad news." "I love how you always try things your way, but are never to proud to ask for help (Yes, I've noticed and taken note, I'm a work in progress." "I love watching The Sandlot with you. I love laying in bed late at night looking for new recipes, only going to sleep so we can wake up and make breakfast together while having a hot cup of coffee (almost as hot as you are)." "I love those little lines around your eyes when you laugh or look into the sun…I love the way we speak in our own language. Sometimes with just a look. I love laying on the couch eating Chinese when we're hung over from the night before. I love going to a random party and remembering basically everyone is fake AF out here and how lucky I am to share a life with someone so REAL. I love the way you always listen & the way that you care…. (Even when it's about RuPaul's Drag Race)." "I love having a teeth brushin' partner & when I'm lazy how you'll comb my hair. I even love when you shrink my favorite t-shirt in the dryer—because having a boyfriend (oh em gee I almost forgot you're my friggen husband now) that does laundry is pretty much the best thing ever." "I love taking turns and sharing with you. I love taking long drives, sometimes going nowhere. I love how you'll sit and listen to me pluck out a new tune on the guitar for hours….I love the way you mumble out loud when you read a new script or book. I love how you learn and grow. I love writing songs about you on the piano. I love how you let ME be ME." "Put simply….I love YOU. Unconditionally. In our time together you have displayed what it really means to love thru all circumstances. I respect you and you respect me. If the world had more of this type of understanding we wouldn't be building more walls but bridges….I'm proud of the person you have become and look forward to all the good we will contribute ToGeThEr in the future." By this whole time we didn't know we got teary through our readings. "You and Me baby…. let's take this dark place head on and shine [through] with the light of L.O.V.E. Thank you for giving me the happiest days of my life. Yours Truly, M."
Apart from sharing the notes, the singer posted a post to wish him HBD where Miley and her husband can be adorably seen jamming out to a rock song. As a matter of fact, the singer then posted a throwback picture of the pair from the set of The Last Song in an attempt of the 10-year challenge alongside Rapper Cardi B. who posted a high school video performing a Lady Gaga song. Needless to say, Liam is one lucky dude to be married to Miley.